Old Fort William in city of Thunder Bay, Ontario in Canada is a historical park that takes you back to the way of life between 1803 and 1821. Many different animal skins are on display in one of the historic buildings which gives you an idea on how people used to eat and stay warm on a daily basis. Old Fort William, showing life between 1803 and 1821, Thunder Bay, Ontario, Canada. 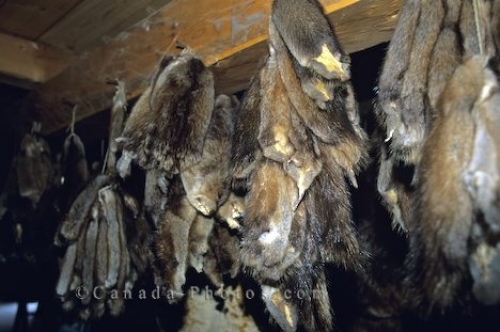 Picture of a variety of animal skins on display at Old Fort William in Thunder Bay, Ontario.